Egg is always that easy to make and ready to serve recipe in all households I presume. The advertisement that used to be telecasted in DD National when I was young “SUNDAY HO YAA MONDAY ROJ KHAIYE AANDE” that was lovely. I loved that one very much. 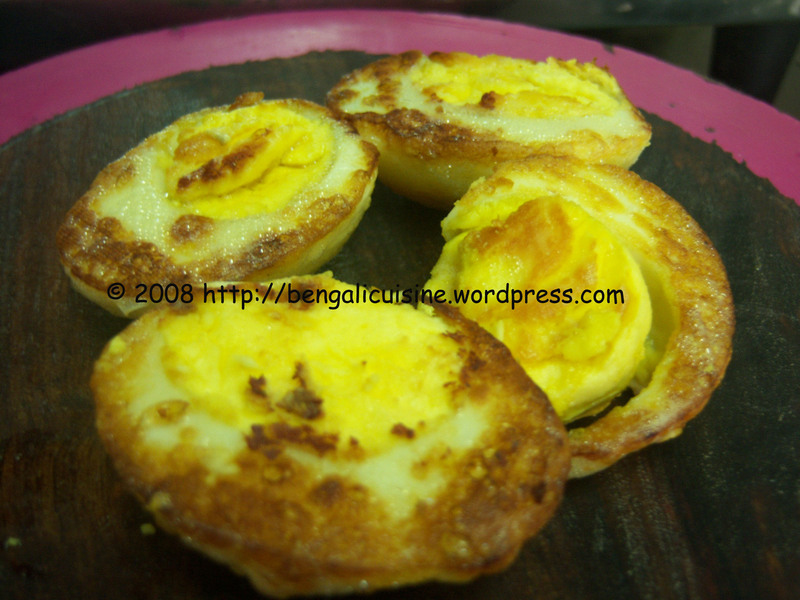 From school tiffin, to a side dish for the dinner table egg is always in the menu. So this time thought of tasting the egg in a different way. Here’s the recipe for you all. Cut the potato in large square pieces and the onions also. Boil the egg and potato together. Heat oil in a wok and fry the potatoes and eggs separately. While frying the eggs do not toss them hard else the yolk will come out. Heat oil in the wok, sauté the onions. Throw in the garlic and again sauté for a minute or two. As the onions turn golden brown add the ginger garlic paste, tomato sauce, turmeric powder, chilli powder, salt, water and cook till the gravy thickens. Add the potatoes and put in some more water if required. Add the eggs and toss lightly. Sprinkle the garam masala and cook for a minute with a lid to retain the smell of it. 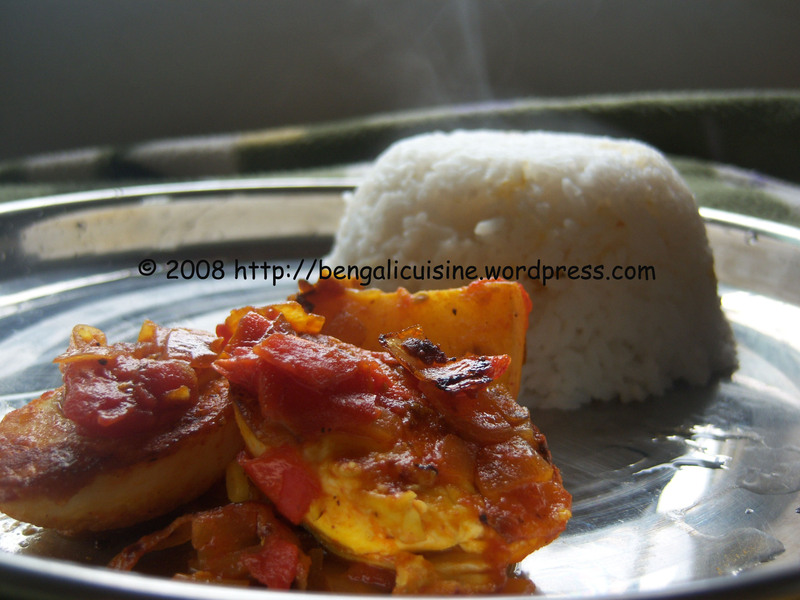 Serve with rice, roti, or paratha. Catch you soon, till then happy eating and happy cooking. 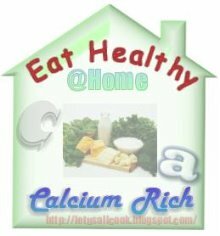 Eat Healthy – CALCIUM Rich Contest . A little update, I received another award from Priti, so thank you Priti and have passed on to my blogging friends , congrats to all of you. Check my awards page for more details. Today is a great day for me. Thanks to Ganesh Chaturthi I got a break from my daily routine of waking up, getting ready and taking a bus to work. This morning I woke up and the first thing that I did was visit my blog. Oh, and there was a great news for me. Priti had sent me an award. Thank you Priti. See my Awards page to check out the awards. This was not all, visiting the Great Cooks Community site I found another great surprise. My name was there as the Featured Blogger of the month. It’s really a great way to start a day with two great surprises. Back home I was always a junk food lover. Coming to Bangalore I really miss those roadside food junctions. At times I get so much desperate to have those that I prepare those at home. Though can’t find that dust mixed taste in the home cooked junkies, but still it’s something closer. The other night I thought of cooking Tarka. 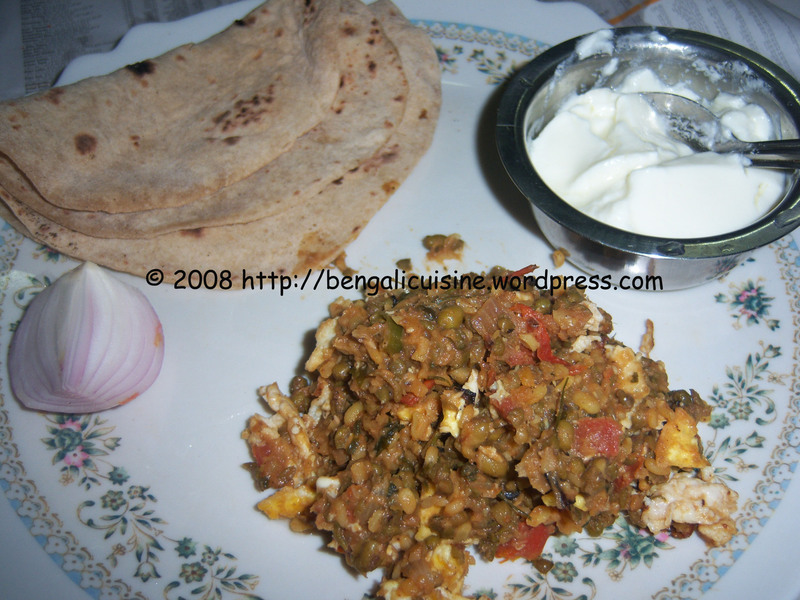 Tarka with roti was a delicacy in those roadside food shops. For those who are thinking what this Tarka is, I tell you it’s a special way of preparing the green Mugh dal. Here’s the recipe for you all. Soak the mugh dal for about an hour. Pressure cook for at 2 to 3 whistles. Drain the excess water out of the dal and keep aside. Cut the onions in square pieces, and the chilies into small ringlets. Heat the oil in a shallow wok. As the oil gets heated throw in the onions to sauté along with the garlic. As the onions become tender, add tomatoes and chili, sauté for 2 more minutes. Add the mugh dal, turmeric powder, salt and toss well. Add little water if necessary and in between mash the dal properly. 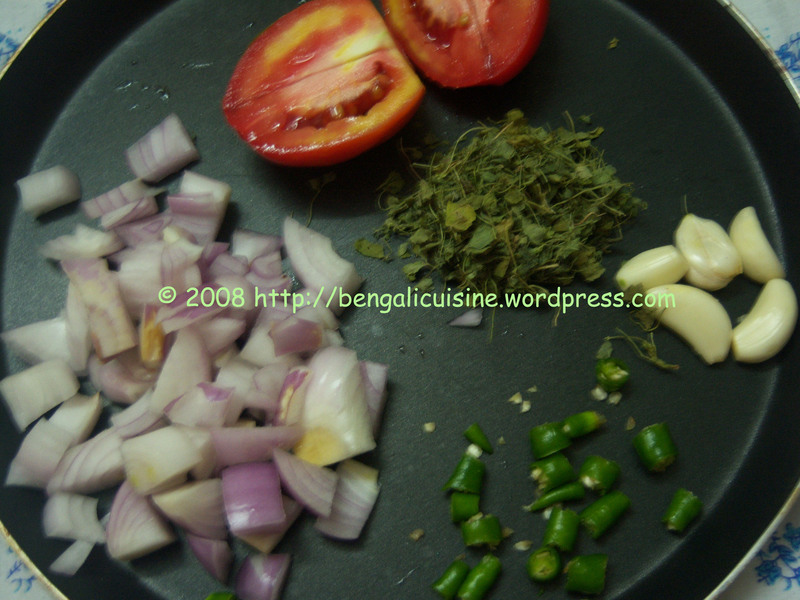 Now add the Kasturi Methi to the preparation and mix well. Scramble to eggs in a separate frying pan with little salt and throw in to the Tarka preparation. Take it out of flame as it gets dried up. It tastes best with roti or paratha and a little bit of curd and onions. You can add chicken or mutton keema, or anything of your choice. Tarka also tastes good without adding any other non-vegetarian items to it. So, you can have it without any other supplementary to it. Catch you soon, till then happy cooking and happy eating. Sending my recipe to Srivalli’s Announcing My Legume Love Affair, Seventh Helping! , the event brain child of Well-Seasoned Cook Susan . After coming back home tonight, I found there was actually no vegetables left. 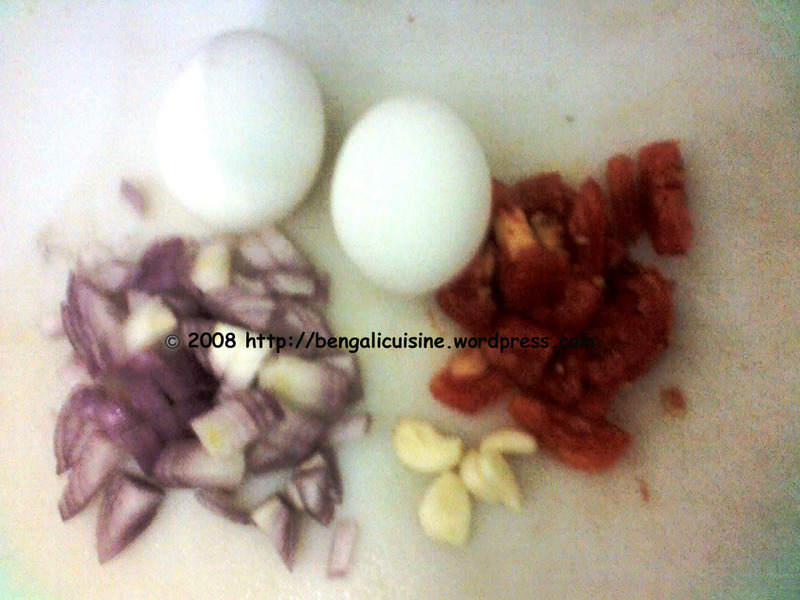 The only thing that I found in my kitchen was two tomatoes, some onions, garlic and of course there was my all time ready stock of eggs. Putting on my apron, I was ready to prepare something really rich and spicy, because the last few days I was only eating blunt non-spicy food and my taste buds were all expecting something to get aroused. The cooking time was short. Cooked some rice, and served the dinner at the dining table. My little experiment with the left out morsels turned out to be delicacy. 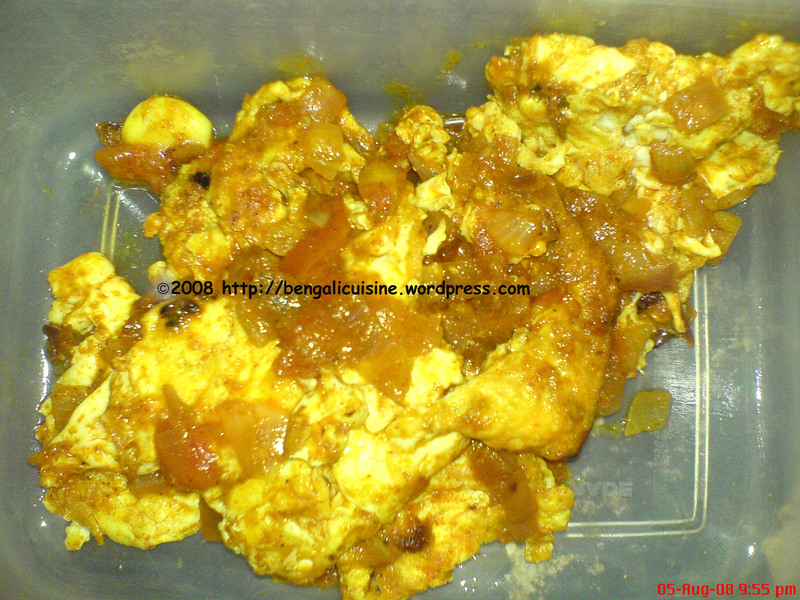 Tasty, spicy and easy to cook, the best one can ask after a whole day’s work. The current gone once again for the second time after I reached home, Enrique singing in my laptop, the candle light at the dinner table and the hot food: all added to excellent milieu of tonight’s dinner. I would just love to have it once more. The recipe here’s for all of you. Chop the onions and tomato into small pieces. Beat the eggs in a bowl; just add ½ teaspoon salt with it. Heat 1 tablespoon of oil in a wok. As the oil gets fully heated add the beaten eggs and fry to make a big omelet. Set the omelet on a dish and cut it into four halves or you may cut it in your own way. Add the left out oil on the wok and heat. Add the onion and garlic cloves as the oil gets heated. Sauté until the onions soften. Throw in the tomatoes; add all spices along with salt. Pour little water if it becomes too dry. As the gravy starts becoming thicker add the fried pieces of eggs and toggle them in the gravy. 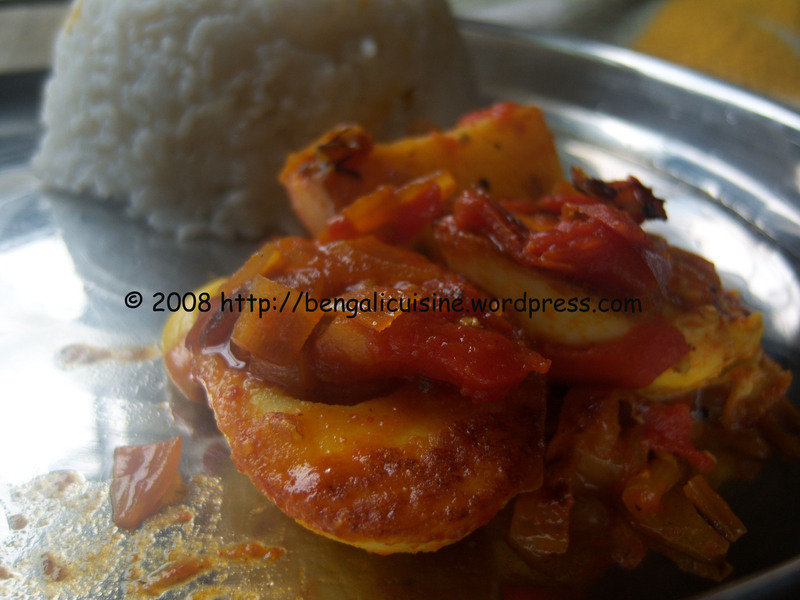 Serve hot with rice, chapathi or roti. Am sure you’ll enjoy cooking it and of course having it. Catch on for the other recipes. Till then happy cooking and happy eating.